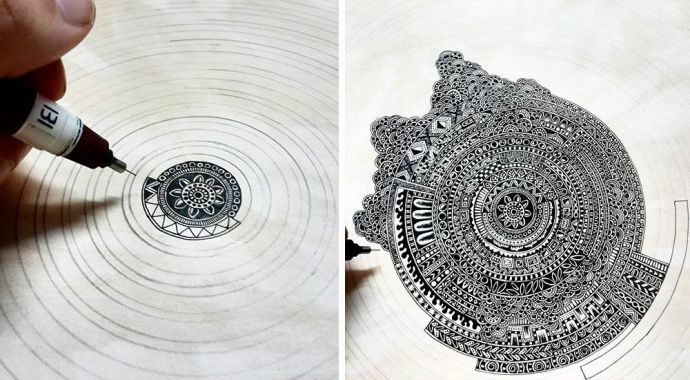 The book has thirty illustrations of mandalas. With contemporary art forms evolving by leaps and bounds, an age old art form seems to be diminishing with time. 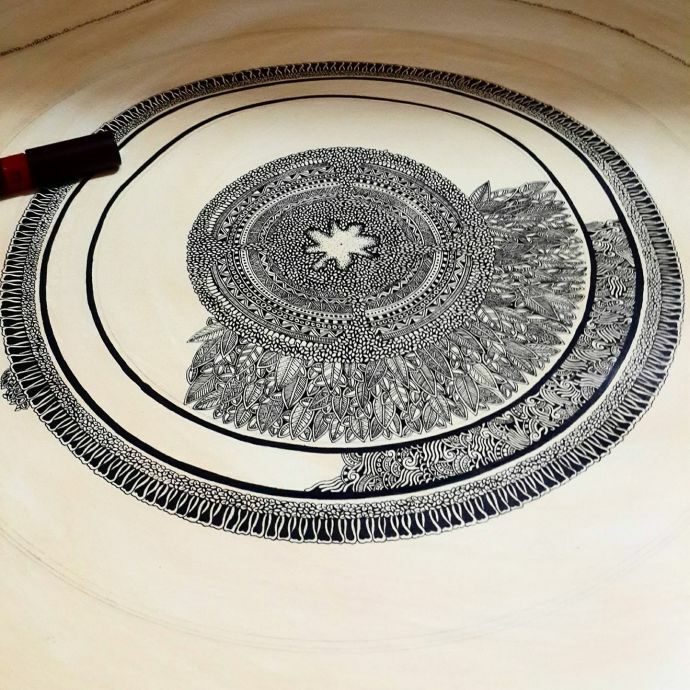 Mandala is one such complex abstract design, which in Sanskrit means circle that represents wholeness- symbolic of balance, perfection and eternity. 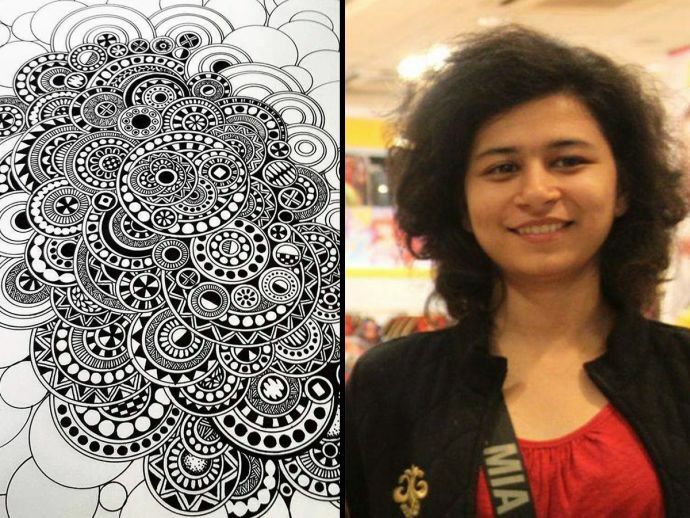 Revamping this age old art, an artist from Pune named Kesar Khinvasara is adding her own elements to the traditional design by making it look more beautiful. 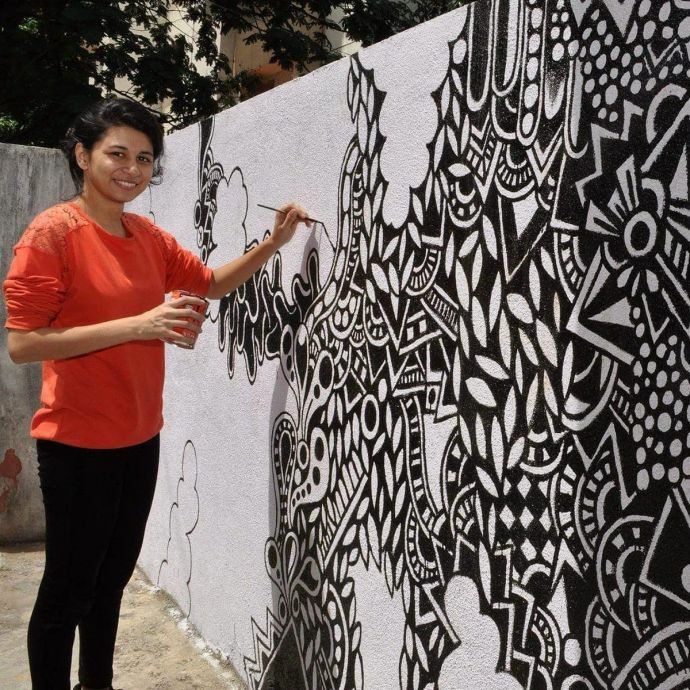 Born in USA and brought up in Pune, Kesar since childhood had a proclivity towards the arts; she carry forwarded her passion and turned it into a profession. 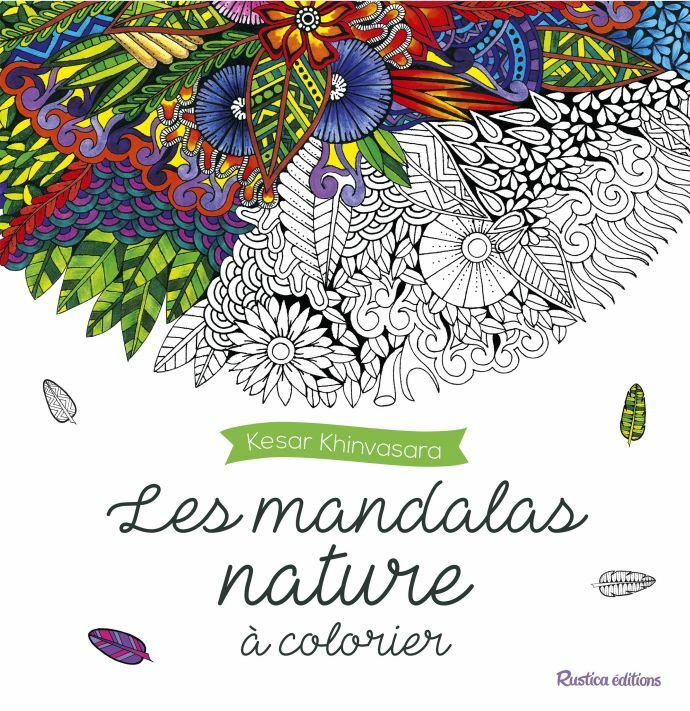 Kesar is now a proud author of a book called Les Mandalas Nature which has been published by a French publishing house. 1. Tell us about your French-titled book Les Mandalas Nature. The title- Les Mandalas Nature translates to 'Mandalas of Nature'. 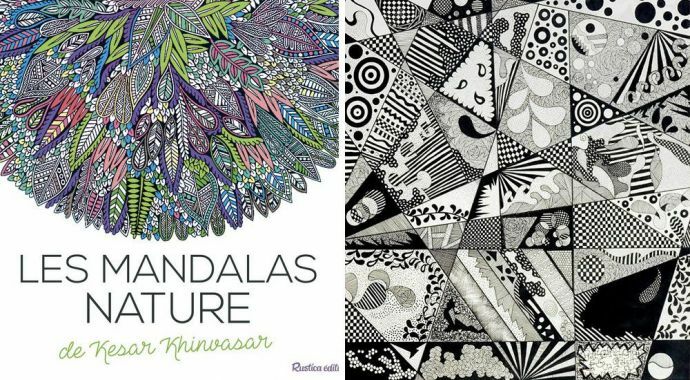 It is a book that encapsulates 30 unique designs(mandalas) that one can colour using their own artistic way. One gets to paint it with the shades of their own choice but colouring in here can be a little challenging, with the way the designs are structured. The book is based on a very simple, general theme that compile s elements of nature. 2. What was your inspiration behind this book? My book has a bit of philosophical background but here I have tried to take art to very different level of abstraction. The lines we draw are basically my source of inspiration because I find lines quite fascinating- they tend to become simple and complex at times. I love experimenting and playing around with it, which in return helps me widen my spectrum of creativity and versatility. 3. How did you approach a publisher from France? It was the other way round; Rustica edition- the French publishing house approached me. They contacted me when they saw my work on social media and found it unique. 4. How long did it take for you to compile the entire book? It wasn’t a cakewalk at all, it took a couple of months to design it. There were times when I had to redesign/restructure the previously illustrated mandalas of mine and then finalize it. I made sure that no design of mine gets repetitive and mundane so I had to spent 2-3 weeks working on each mandala. Well, I am a little finicky when it comes to art and hence I take lot of efforts to design things in the most unique way possible. 5. 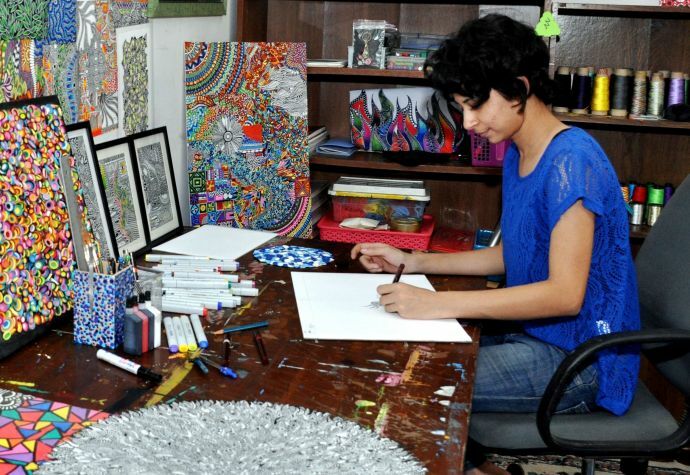 Your inclination towards painting is commendable, but what thing drew you towards this art form? This art form is very versatile in itself and is upcoming in India. It’s an independent art form and still has a long way to go. As mentioned earlier, I can say that my world revolves around the designs that rose from the simple lines we draw. 6. Anything you would love to share on the journey of your book? The entire journey was awesome, from illustrating it to publishing it. It was great to get on board with the publisher. Amidst this process I got introduced to a totally new dimension of my art. This helped me to plan out my own things in the drawing and helped me in polishing my skills even more. But as an artist, I believe to thrive to improve my skills even further. Reacho wishes Kesar all the best for her future endeavours!